If any intrepid readers want to cook up a quick Need for Speed: Most Podracer, Battlefront: Bad Company or even a Death Star Space (ok, that last one doesn't really work), send it over. We'll publish and give you credit. Thanks! UPDATE: OK, here we go. 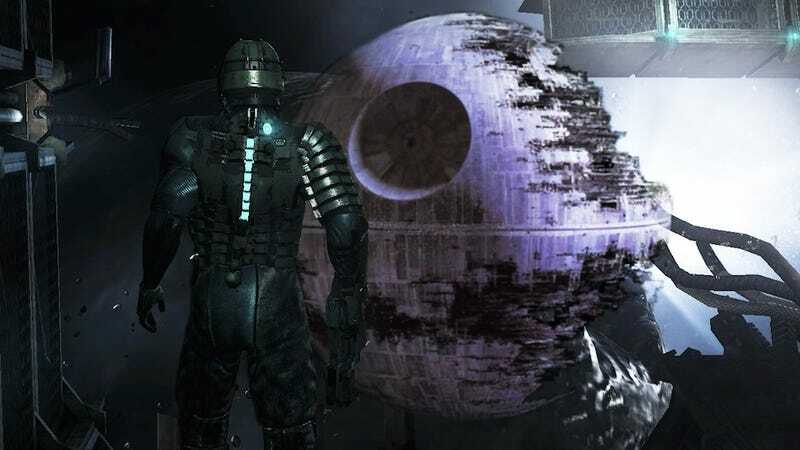 Death Star Space up top is from Kotaku reader TheStrife. Down below you'll see such Instant Classis at SSX: Hoth and Fight Night: Masters of Teras Kasi.